Yes, I am still alive!!!! It has just been such a busy month and I just haven't had much time to craft for myself. Last night, while I was watching TV, I managed to colour up one of my Sassy Cheryl digi's. I purchased this one a few weeks ago and I couldn't wait to see how it would turn out. Now I just have find some time to put her on a card. Hopefully this weekend. 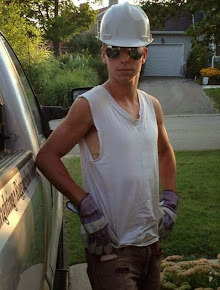 Happy Friday everyone!!!! It has been a busy, busy week. All the kids headed back to school and we struggled to find routine again after an amazing summer. I know that my kids are really dragging as the week progresses. Their late summer nights are catching up to them as the alarm clocks go off at 7am! 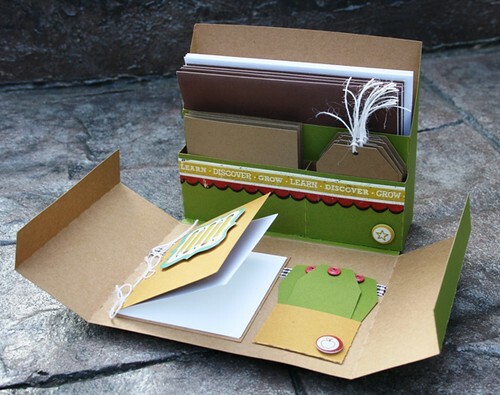 Today I want to share with you a sweet stationary set that I made from an SVG file I purchased from My Thoughts Exactly! 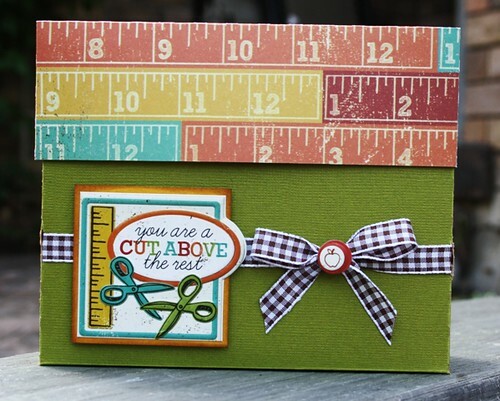 I am sharing this over at the Two Scrapbook Friends blog for some 'back 2 school' inspiration. 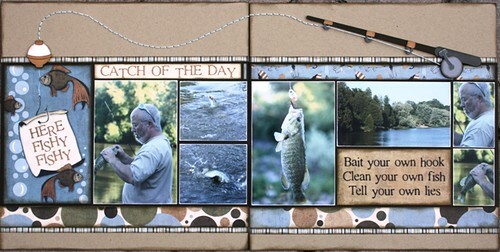 I used the new Hall Pass collection from We R Memory Keepers. I just love this line. Here is a photo of the box when it is all closed up. It would look awesome sitting on your favourite students desk. When you take the lid off, the box unfolds to reveal all sorts of goodies. 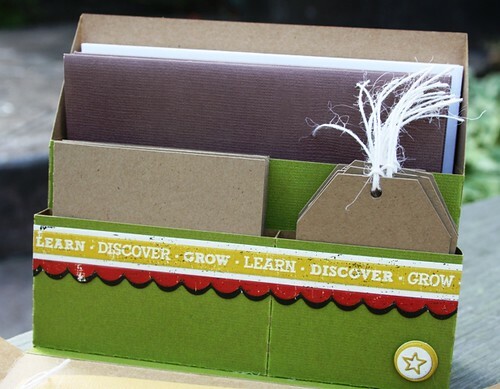 On the top there are pockets that hold A2 cards and envelopes, 3x3 cards and an assortment of tags. I embellished the tags with some twine and the pockets with some embossed stickers from the paper collection. On the bottom there is a sweet notebook with pages inside for notes and another little pocket that holds a few more tags. 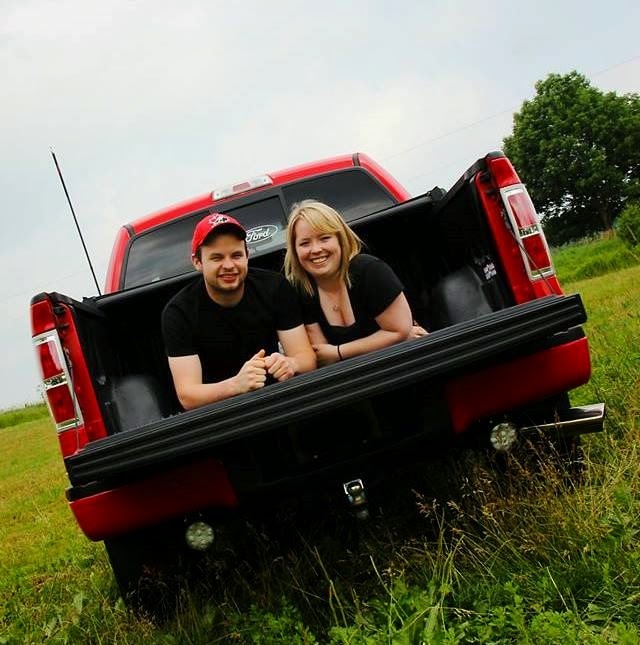 I was thinking that this would be a really cute idea for Christmas or birthday cards too. 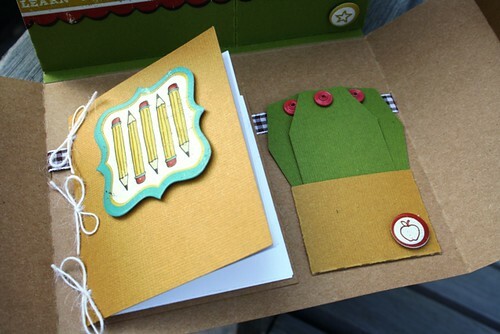 Be sure to stop over to the Two Scrapbook Friends blog and see all the 'back 2 school' inspiration in today's post. Hey Everyone! I have been forced to change seasons, and I really didn't think I was ready.....until I started playing! 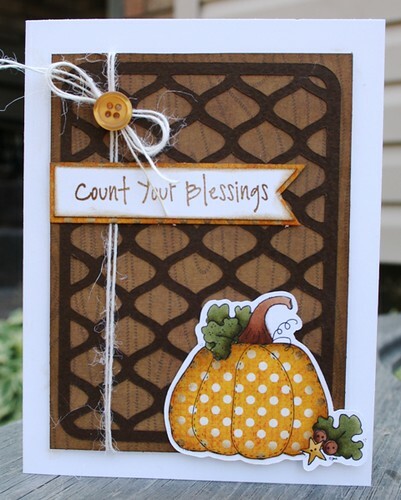 My aunt needed a card that was done in a fall theme. I told her I would see what I could come up with. I wasn't really inspired to move on from all the bright, sunny things I have been creating, but I was pleasantly surprised with the end result! 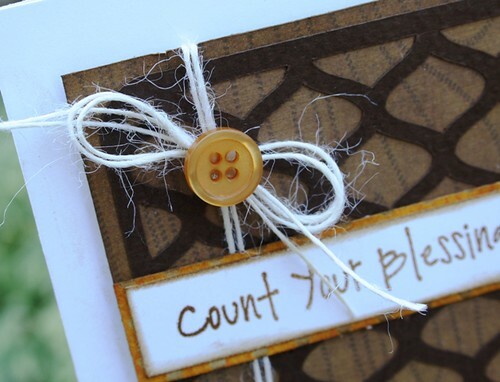 I found a digital image I had from Designed to Delight and did a little paper piecing. I used my Silhouette to cut my image out and then hand cut the orange paper to place on top. 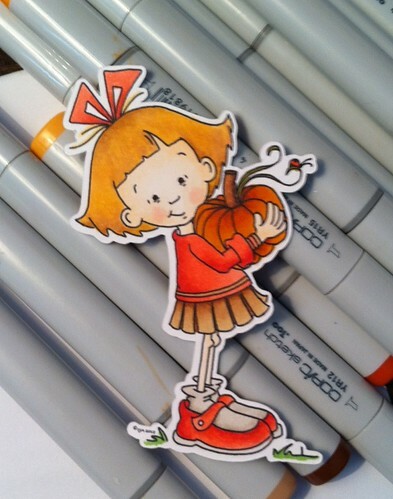 I pulled out my Copics to colour in the leaves, stem and embellishments. 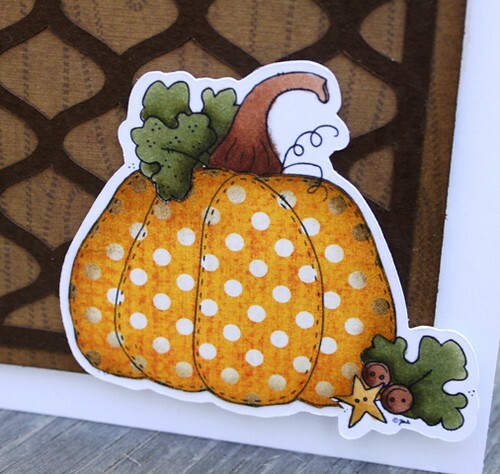 I created the background of my card using an awesome 3x4 life card from Lori Whitlock (purchased through my Silhouette) and re-sized it to fit. I also added some twine and a button for fun. I hope my aunt will like the card. I sent a photo to my mom to see what she thought, and I got the 'thumbs up'! Not sure if I will move into the fall mode yet, but this was a fun project to get me warmed up! 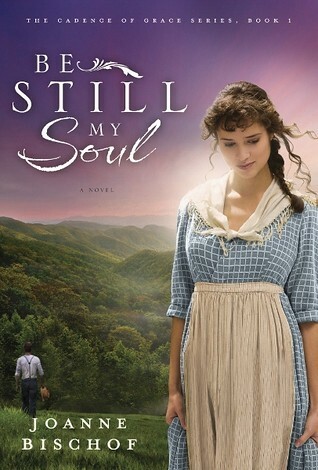 Book Review - Be Still My Soul! I am so happy I found out about this book. It was truly one of my favourite stories, ever! Lonnie is a beautiful, shy, seventeen year old girl living at home with an abusive father. She is interested in a handsome young man named Gideon. She couldn't wait to turn eighteen and get away from her father and go and live with her loving Aunt. All of Lonnie's dreams take a turn after Gideon walks her home after a community function. The entire story unfolds in the Blue Ridge Mountains of Virginia. It is the first story in a 3 book series and I can't wait to get my hands on the next one. I received a copy of this book free from Edelweiss by Random House, in exchange for an honest review. A few years ago, my hubby decided to take up fishing as a hobby. He loves being on or by the water as much as he can. He doesn't always take out our boat......sometimes he fishes from shore. He discovered a really cool place in Winterbourne, which is not very far from us. On a warm summer evening it is one of my favourite places to visit. He fishes and I read.........it is amazing. Here is a layout that I created, trying to capture the beauty of this spot. I created this fishing pole using an SVG file from SVG Cuts. 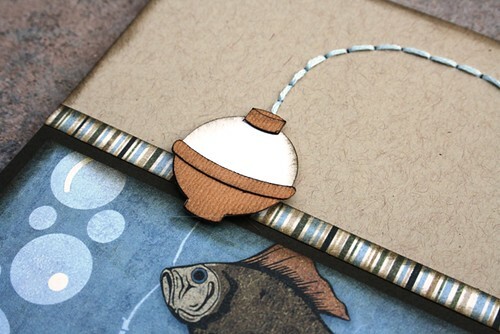 The same set included a file for this bobber too. I stitched the fishing line and strung it through the pole to make it look like the fish from the paper were being caught. This is going to be an upcoming 'featured kit' at the store! Be sure to keep your eyes open on the blog for all the details.....coming soon.